March 4th, 2019 by Anna Moorhouse | Comments Off on Daniel Marshall wins the 2019 Basil Stuart-Stubbs Prize for his illuminating narrative of the 1858 Fraser River Valley gold rush. Dr. Daniel Marshall has won the Basil Stuart-Stubbs Prize for outstanding Scholarly Book on British Columbia for his book Claiming the land: British Columbia and the making of a new El Dorado. The $2,500 prize, given by UBC Library and the Pacific BookWorld News Society, will be awarded at UBC’s Irving K. Barber Learning Centre in April. Incorporating Culture: how Indigenous People are Reshaping the Northwest Coast Art Industry, Solen Roth (UBC Press). Don’t Never Tell Nobody Nothin’ No How: the Real Story of West Coast Rum Running, Rick James (Harbour Publishing). 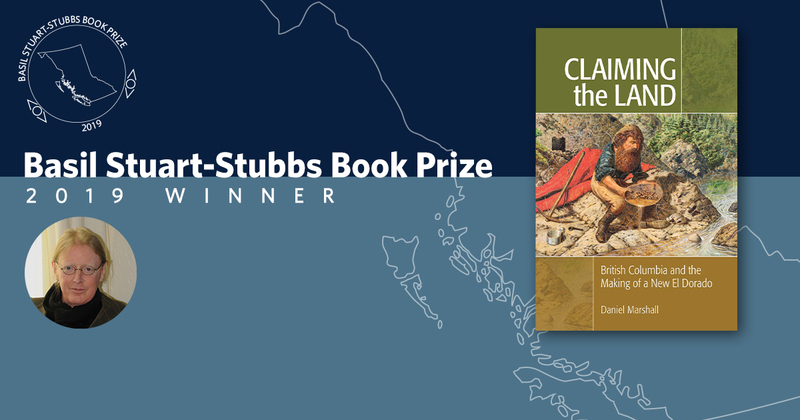 The Basil Stuart-Stubbs Prize for Outstanding Book on British Columbia, sponsored by UBC Library and the Pacific BookWorld News Society, recognizes the best scholarly book published by a Canadian author on a B.C. subject. The book prize was established in memory of Basil Stuart-Stubbs, a bibliophile, scholar and librarian who passed away in 2012. Stuart-Stubbs’s many accomplishments included serving as the University Librarian at UBC Library and as the Director of UBC’s School of Library, Archival and Information Studies. 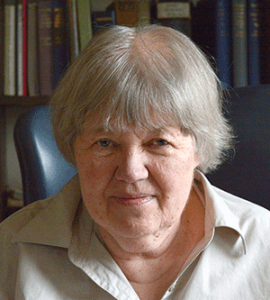 Stuart-Stubbs had a leadership role in many national and regional library and publishing activities. During his exceptional career, he took particular interest in the production and distribution of Canadian books and was associated with several initiatives beneficial to authors and their readers, and to Canadian publishing. Posted in Basil Stuart-Stubbs, Basil Stuart-Stubbs Prize, carousel, Press releases, UBC Library | Comments Off on Daniel Marshall wins the 2019 Basil Stuart-Stubbs Prize for his illuminating narrative of the 1858 Fraser River Valley gold rush. 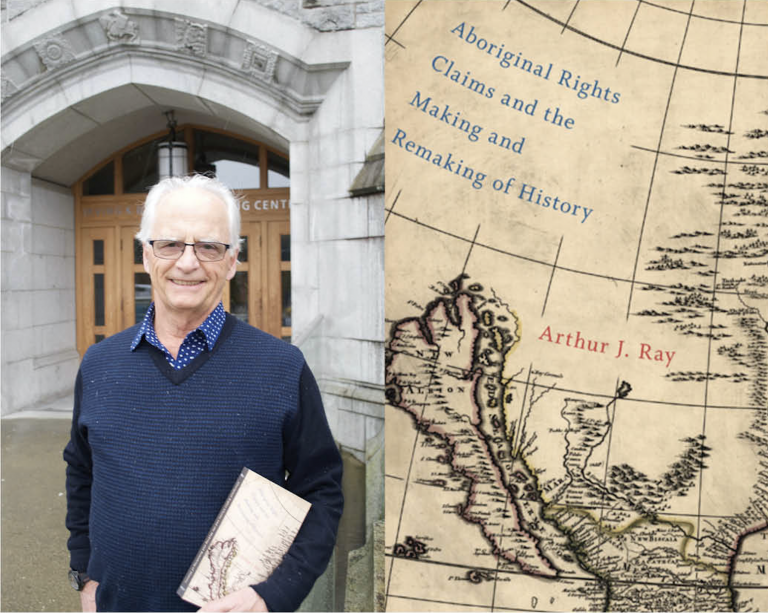 Arthur Ray, the recipient of the 2017 Basil Stuart-Stubbs Prize, has also won the Federation of Humanities and Social Sciences 2017 Canada Prize for his book, Aboriginal Rights Claims and the Making and Remaking of History. BC BookLook covers John Thistle's win of the 4th annual Basil Stuart-Stubbs Award for Outstanding Scholarly Book on B.C., presented at UBC Library on June 9, 2016. 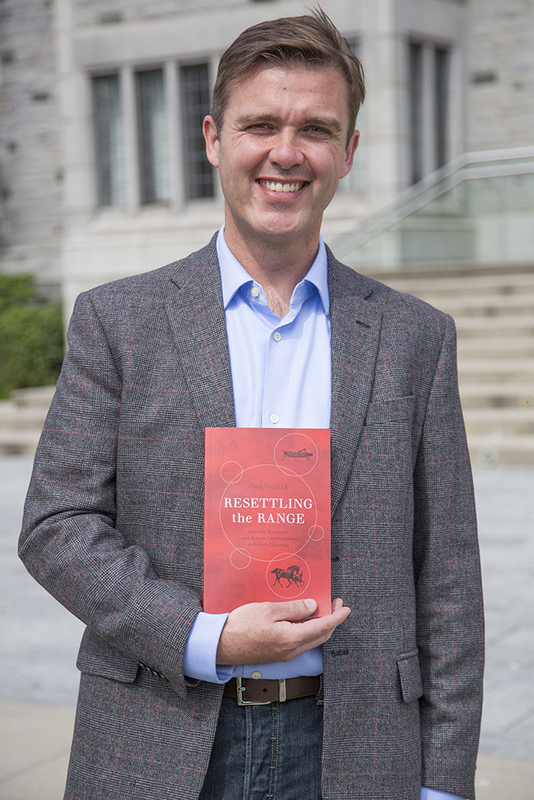 Researcher John Thistle has been named winner of this year’s UBC Library Basil Stuart-Stubbs Prize for Outstanding Scholarly Book on British Columbia for his first book. The two other finalists are: Lisa Pasolli’s Working Mothers and the Child Care Dilemma: A History of British Columbia’s Social Policy (UBC Press) and Maria Tippett’s Made in British Columbia: Eight Ways of Making Culture (Harbour Publishing). For full citations, see the Shortlist 2016. Jean Barman’s book on the history of French Canadians in British Columbia is the winner of the third annual Basil Stuart-Stubbs Prize for Outstanding Scholarly Book on British Columbia. The $1,000 prize, given by UBC Library and the Pacific BookWorld News Society, will be awarded at a June reception at UBC’s Irving K. Barber Learning Centre. The book, French Canadians, Furs, and Indigenous Women in the Making of the Pacific Northwest, examines French Canadians during BC’s early fur trading and the connections made with indigenous women and families. Barman’s work recasts the history of British Columbia from a French Canadian perspective, exploring how the relationship between fur trappers and indigenous peoples has shaped the Pacific Northwest. Barman’s book consults rare archival sources and considers both individual histories and the history of groups to illustrate the significance of the role of French Canadians in BC’s history. Between the 1790s and the 1840s, French Canadian fur trappers impacted BC history in several ways including driving the fur economy, becoming the first non-indigenous people in the area to farm and contributing to the division of the Pacific Northwest, resulting in Canada’s Pacific shoreline. Barman will be awarded the annual Book prize – sponsored by UBC Library and Pacific BookWorld News – on June 9, 2015 at a reception at UBC’s Irving K. Barber Learning Centre. Jean Barman has written several award winning books focused on the history of British Columbia, women and indigenous peoples. Barman is the recipient of the 2015 Sir John A. MacDonald Prize and the 2015 Governor General Award for Scholarly Research. Two other finalists included Nancy J. Turner’s Ancient Pathways, Ancestral Knowledge: Ethnobotany and the Ecological Wisdom of Indigenous Peoples of Northwestern North America (Montreal: McGill-Queen’s University Press) and editors ichard Beamish and Gordon Mcfarlane’s The Sea Among Us: the Amazing Strait of Georgia (Harbour Publishing, 2014). For full citations, see the Shortlist 2015.